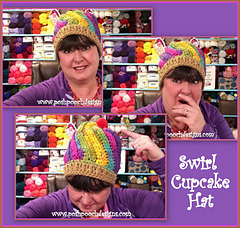 This pattern is a written pattern, Photo Tutorial and we added a Video to the blog. Yarn – Bulky (5) Charisma/ passion, 3 oz. Light Brown 2 oz. Sizes: 6 Sizes - these are approximates - Remember To measure as you go.